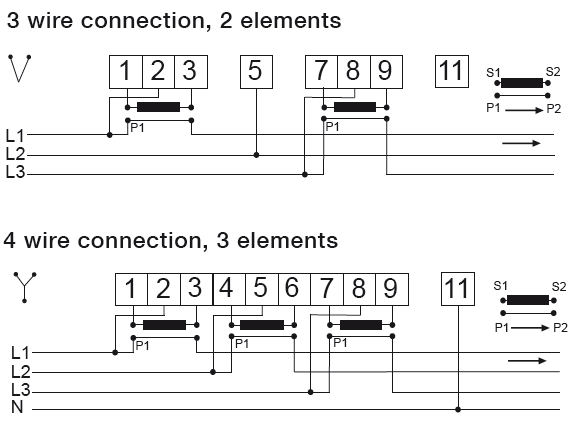 The B24-111 is a CT operated, DIN Rail meter that is MID approved for billing purposes. 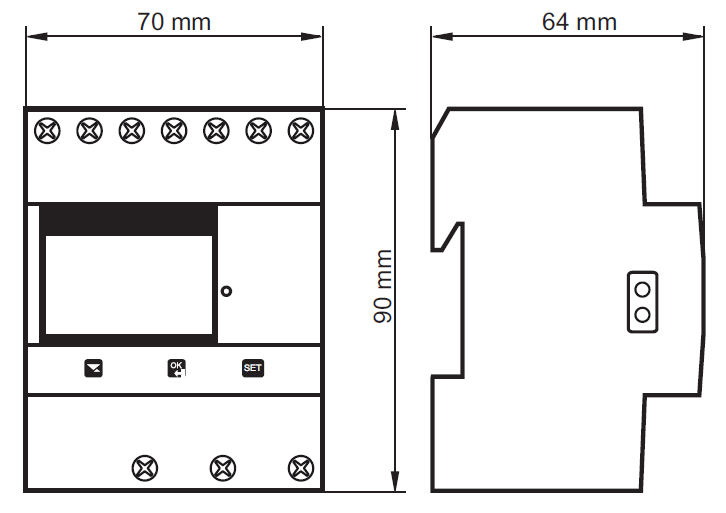 It is perfect for installation in distribution boards and small enclosures such as consumer units. 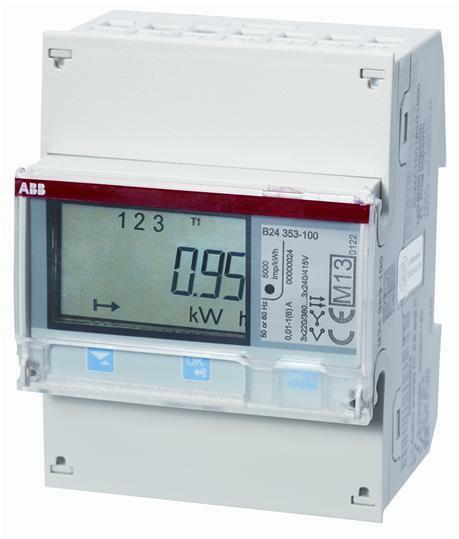 We highly recommend the ABB range of meters because they are intuitive, easy to use, well presented and reputably manufactured in Europe (Sweden). They also come supplied with installation instructions and there is a comprehensive 160-page manual, (which includes set up examples), available for download, ensuring that the installer has all the information required. This is the entry level B24 and is suitable for monitoring electricity consumption to within 1% accuracy. The display will alert you as to whether the phases are being measured in the correct orientation and will indicate any issues. 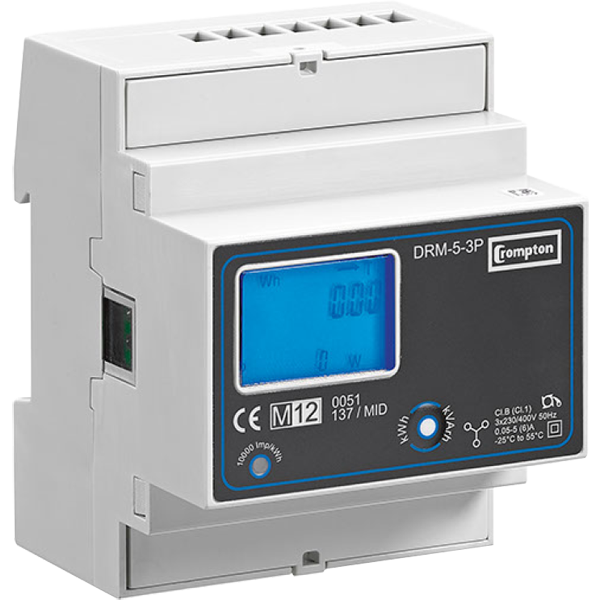 In addition, this meter has a configurable pulse output that can be used to send data to an external system.